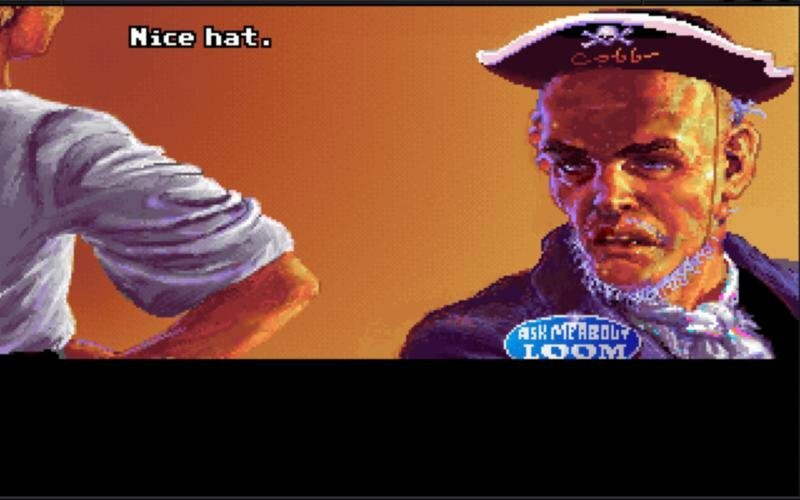 Glorious buccaneering in 256 colors. 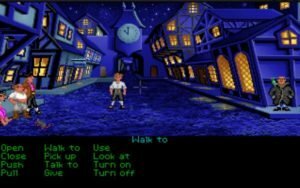 Even if you’re merely an initiate of old school adventure gaming, you’ll probably be surprised how smoothly you’ll settle into Lucas Art’s legendary Monkey Island (full title “The Secret of Monkey Island”). 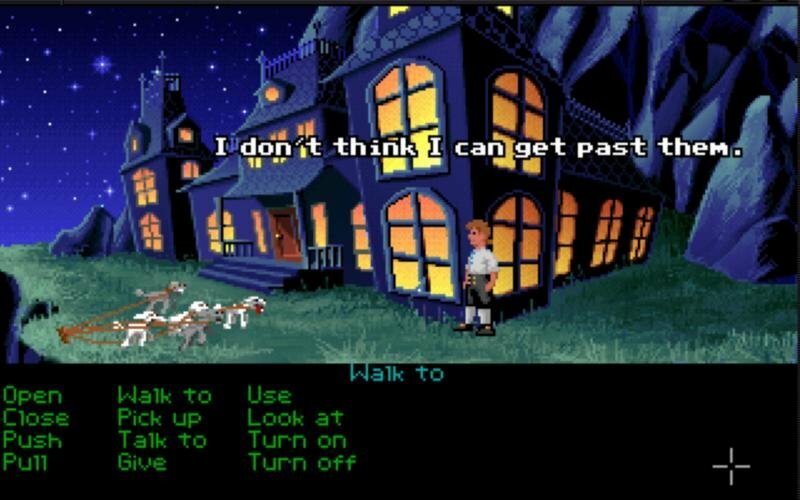 That’s because it has many of the hallmarks that makes up a modern point and click adventure, and is a well-written, humorous and visually attractive computer game in its own right. 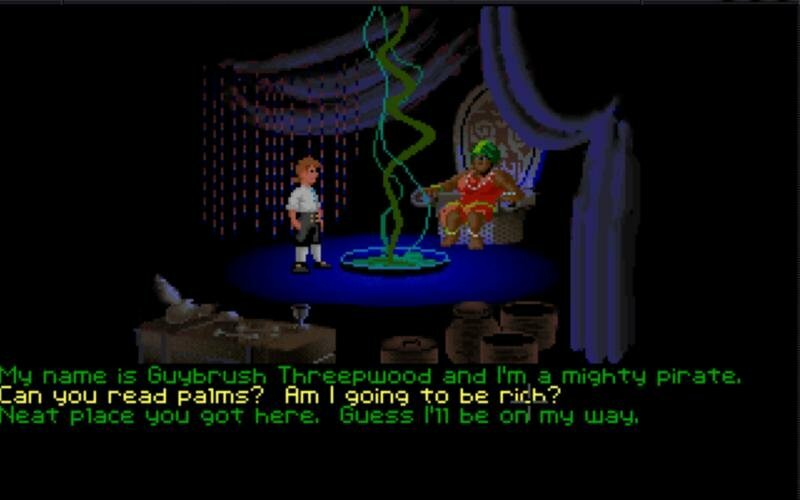 Using Lucas Art’s own proprietary SCUMM engine (Maniac Mansion, 1987), you guide the amusingly incompetent Guybrush Threepwood through Melee Island and beyond in his quest to prove himself worthy as a swashbuckler. 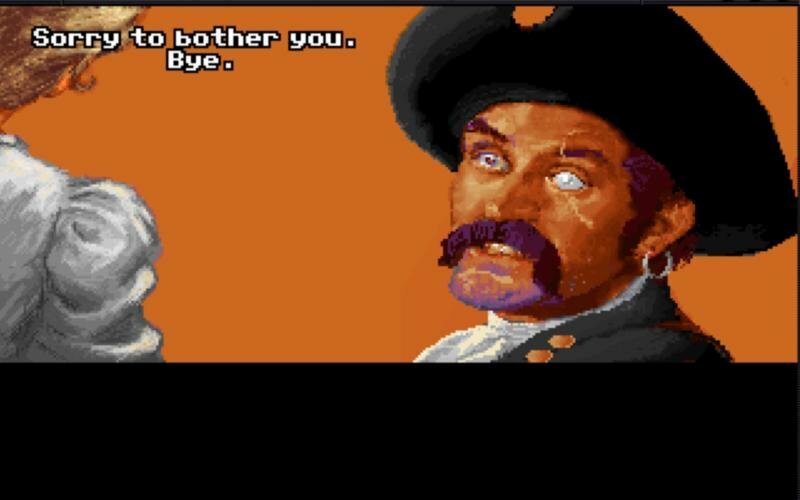 Along the way he’ll fight a dastardly zombie pirate, travel the high seas and save a damsel in distress. 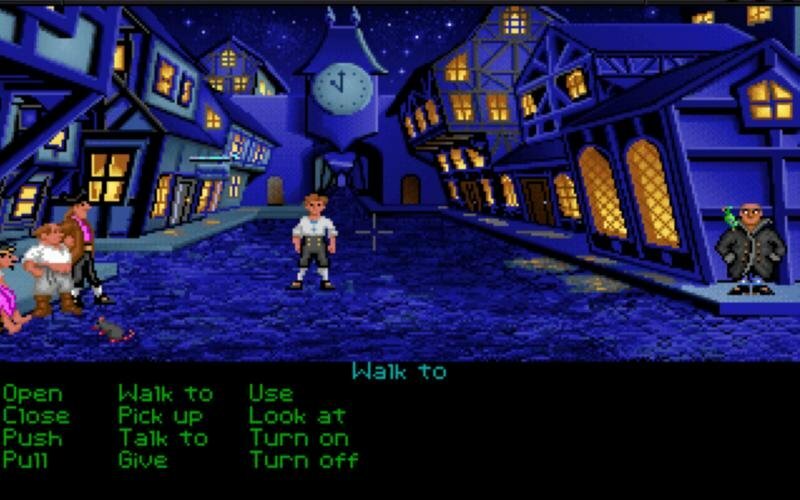 Monkey Island was a major improvement from the dozen or so screens you would get from an 80s text parser-powered King’s Quest game. 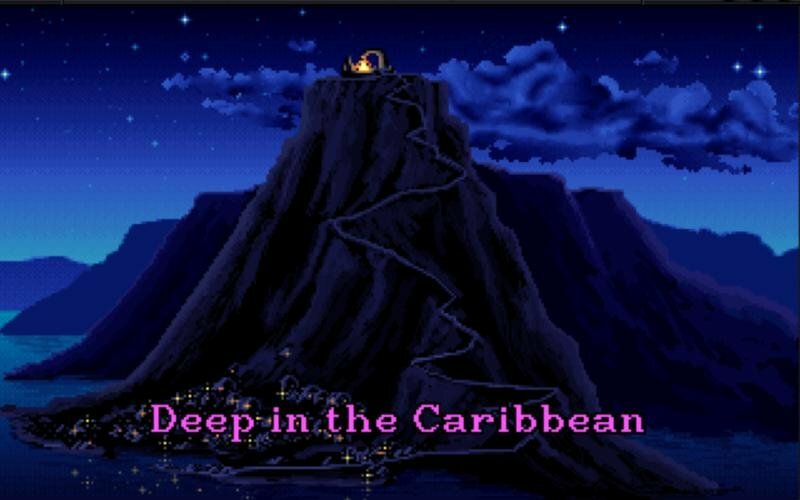 Not only were the graphics within each scene sharper, but the game itself was huge, spanning two large islands. 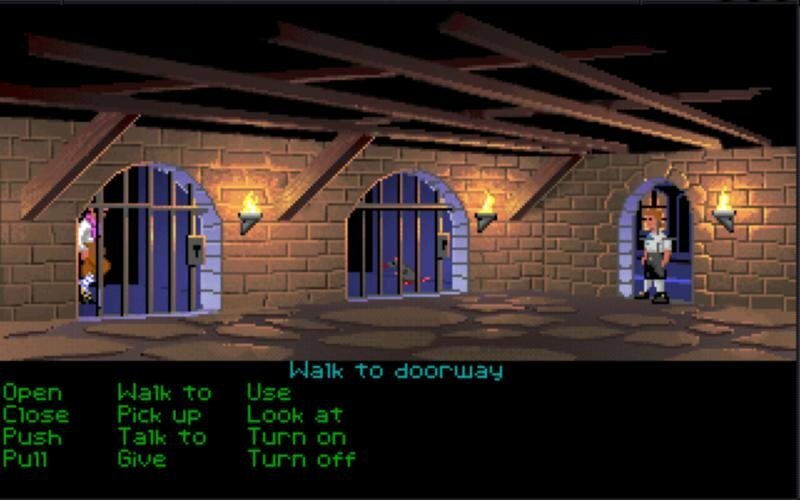 And also unlike older Sierra adventures, the puzzles were air-tight – no matter what you did, you couldn’t do something in such a way so as to permanently screw up the continuity of the game and be stuck forever. There was always a solution looming over the horizon. 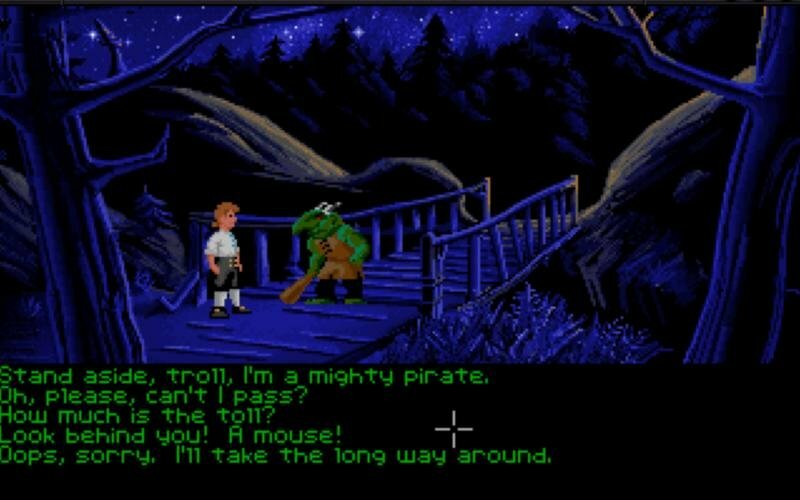 And finally the humor – primarily transmitted through the writing – made Monkey Island an enduring classic. 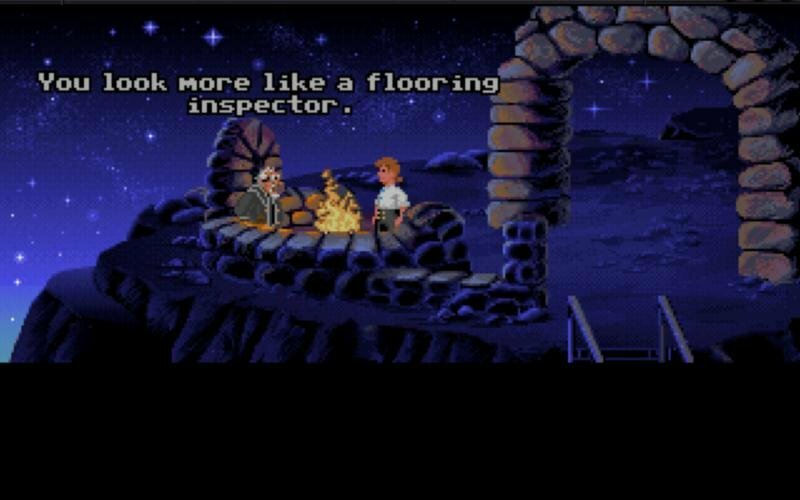 The puzzles are exceptionally well crafted as well, providing a great mix of fun and challenge. 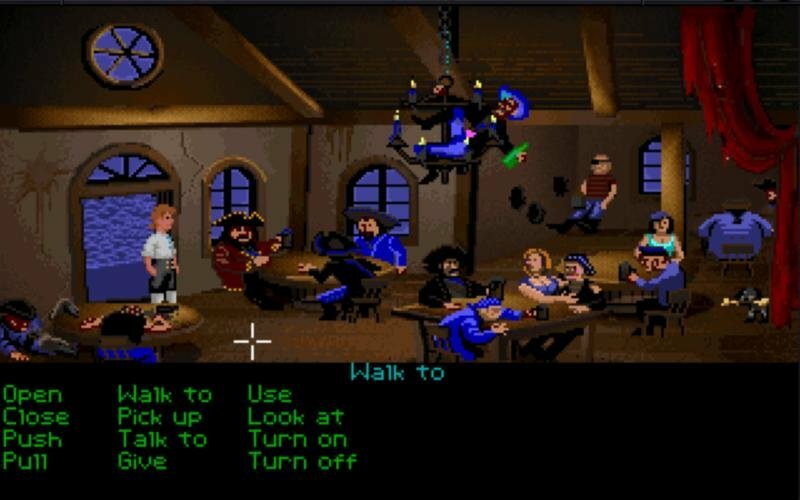 Many are item-based, some rely on you interacting with other characters and choosing the right dialog option, and a few are difficult to categorize altogether. 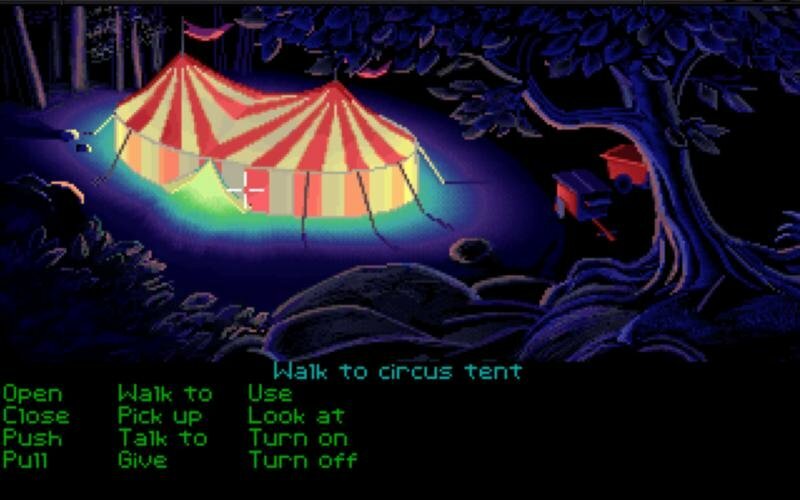 In one puzzle you have to follow someone through the dark forest. 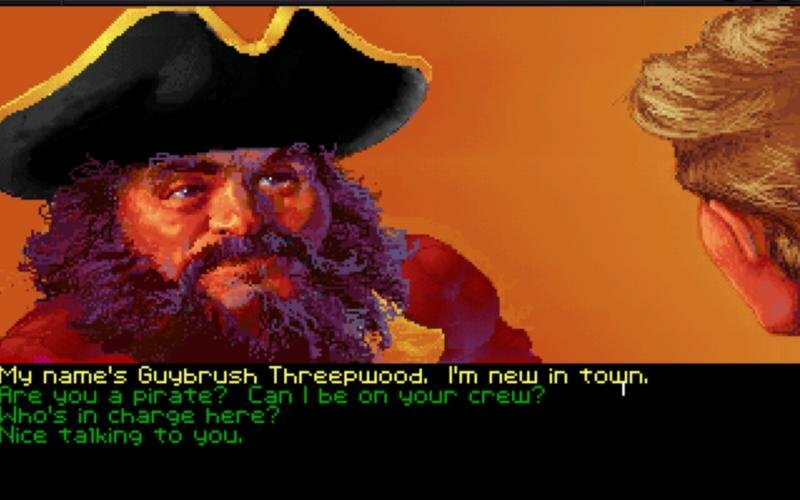 In another you have to prove yourself by challenging random pirates into ‘insult matches’. 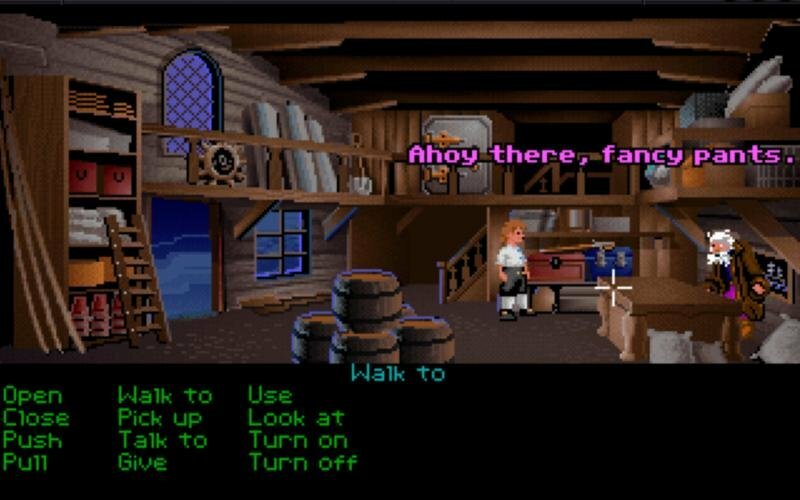 The Secret of Monkey Island is one of the early graphical adventures so there are no voices, only text captions for dialogue. 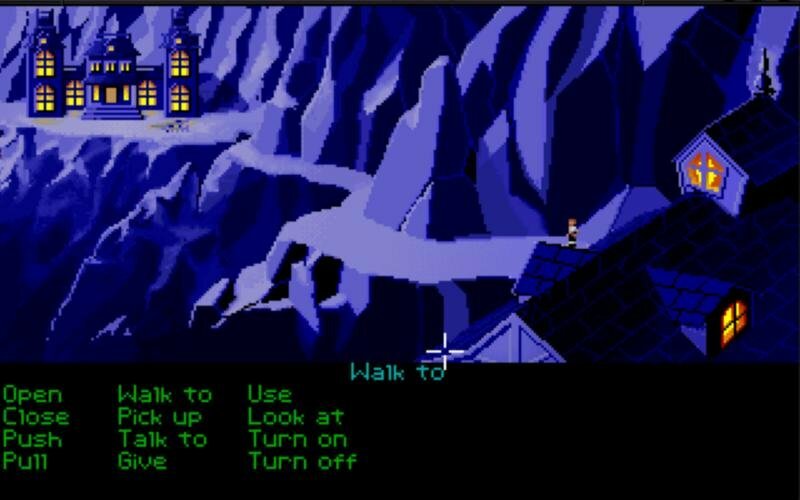 Although it has a point and click interface it pre-dates the age of icons and uses words to build up commands instead. But it’s still remarkably simple. Also there are keyboard equivalents for all functions. 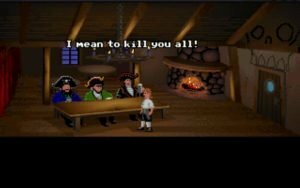 In a nutshell, it is extremely easy to control with keyboard or mouse and has all the usual options for saving, restoring, adjusting music level and adjusting the amount of time text is displayed. 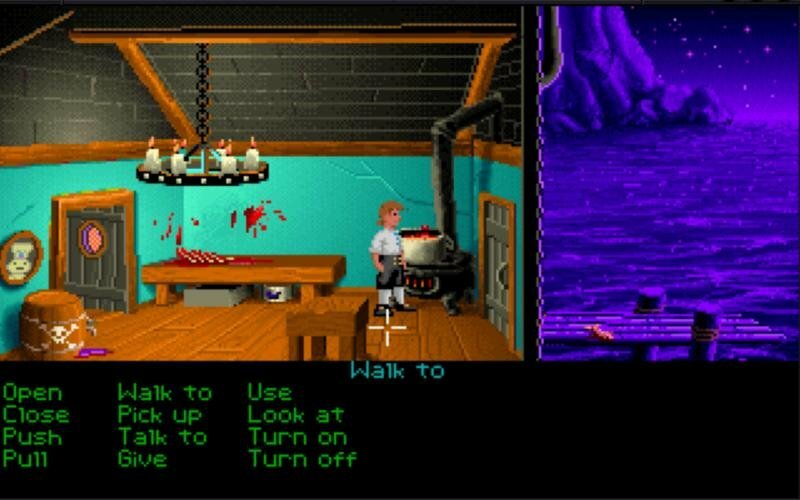 The original EGA graphics were very good for the time. 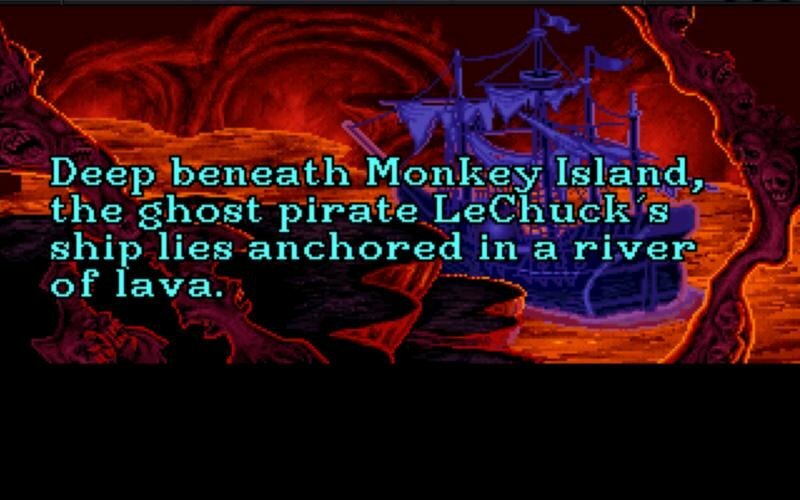 But they became a little dated with the popularization of VGA and Lucas Arts released a new version to keep up with the top games in 1991, including Monkey Island 2 (which had fantastic graphics). 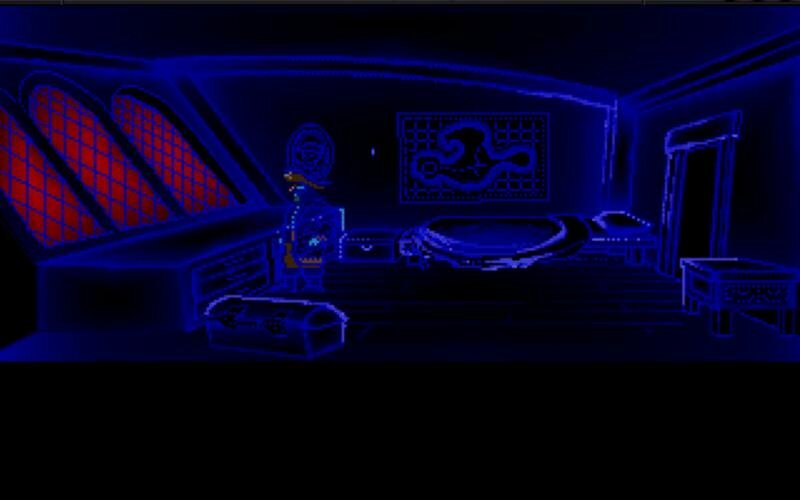 The resolution was the same, but the game became much more colorful (while EGA graphics had 16 colors, VGA had 256). 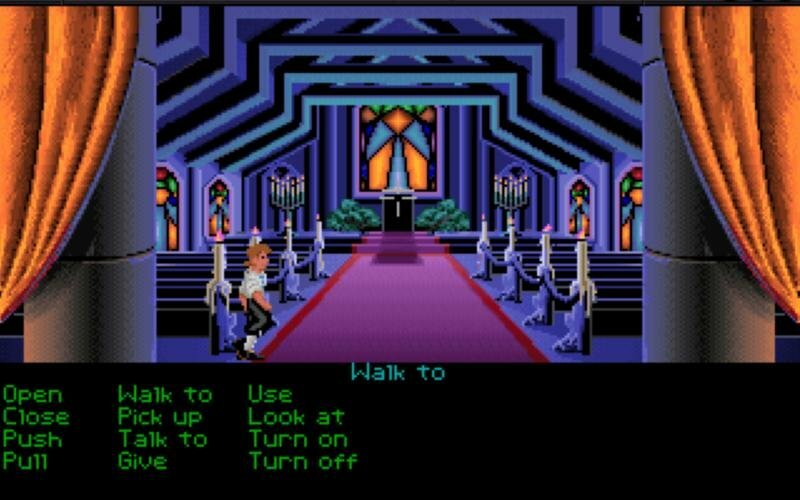 The EGA game is darker and may have a greater ambience because of that. 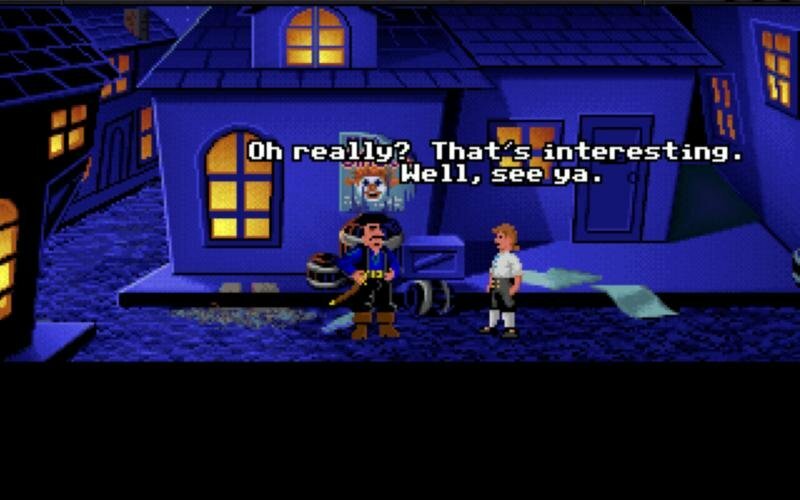 If you’ve never played it, make sure to give it a chance. 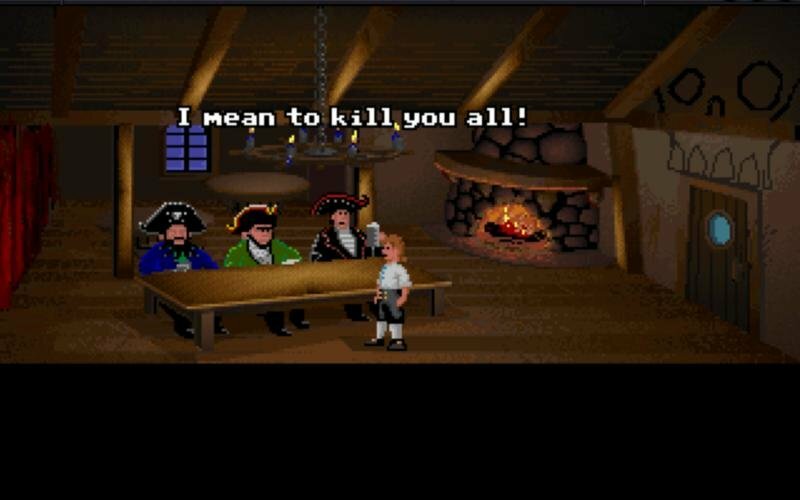 To put it in another way, if you were stuck on a desert island with nothing but a 386 and Monkey Island 1 to pass the time, you would almost certainly have a lot of fun.